Need a Dental Exam or Cleaning? When it comes to achieving a healthy, beautiful smile and maintaining it, the name of the game is prevention. Dr. Chimmiri would much rather help you avoid dental problems than having to fix them later. How do we do this? It all starts with routine checkups and cleanings. Brushing and flossing your teeth is essential, but it’s pretty much impossible for you to keep your teeth completely clean on your own. 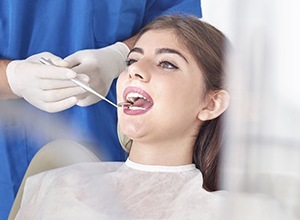 With just two appointments each year, we can stop many dental problems before they even start and catch others while they are still in their earliest stages. With these simple treatments, we can protect you and everyone in your family from common issues such as tooth decay, cavities, gum disease, oral cancer, and more. For adults, we’re able to offer the more specialized services they need in addition to basic care. If you have issues with gum disease, for example, we can offer a range of treatments call periodontal therapy. We can even help you manage your sleep apnea and screen for oral cancer. Altogether, these services won’t just help your smile, but your entire body as well. No matter what you need, whether it’s routine or not, you can always rely on our team to provide it at the highest possible level. To learn more about everything we can do for your smile, simply click on the link below. We’re happy to treat patients of all ages at our practice, and that includes your littlest and most precious smile! Every member of our team has years of experience seeing children, so we’ll be able to ensure that their smile stays healthy and strong as they grow and develop. 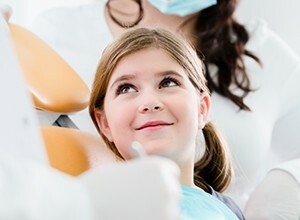 In addition to essential checkups and cleanings, we can also provide more child-centric services such as dental sealants, mouthguards, and even frenectomies. We’ll also take the time to teach your child why and how they should take care of their teeth at home. If it’s time for your child to visit the dentist, click on the link below to see everything we can offer.